I'm not going to lie and say that I wasn't a super slow adopter of the neck tie trend, because I was definitely skeptical for awhile. I've finally come around though, and I love that they can add a fashion forward touch to even the most simple of outfits. I've linked several cute options below (some come in multiple colors/prints) if you're in the market! 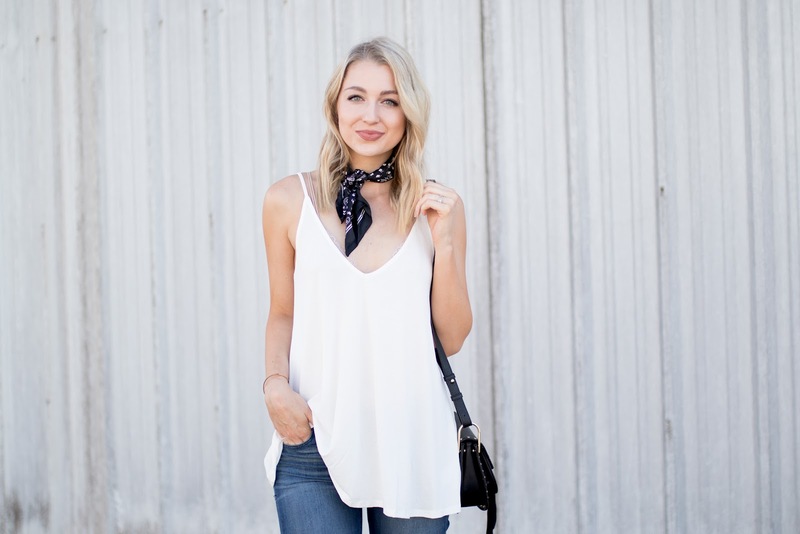 I especially love this little scarf in the rose print - adding to my cart! Also, I have to give a shoutout to Megan of For All Things Lovely for sharing about this tank and bralette, both from Urban Outfitters! 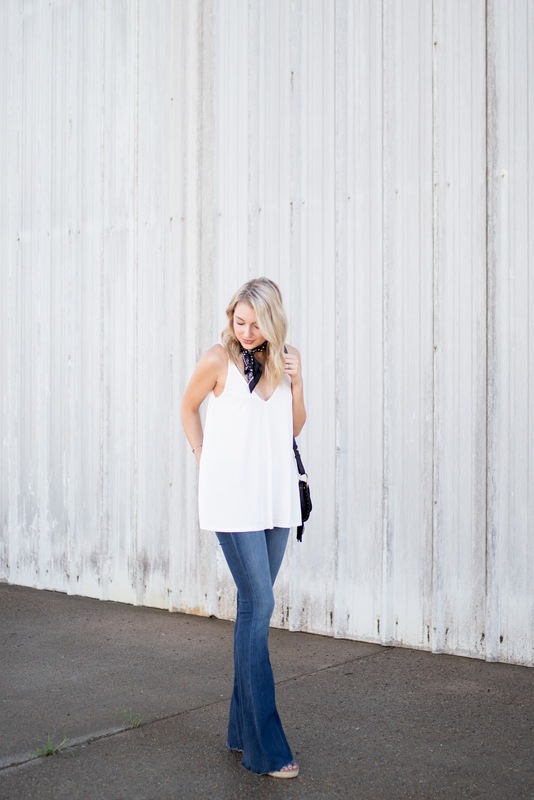 This is the perfect soft, drapey, relaxed tank! It comes in 9 colors and is 30% off, so I will definitely be purchasing more of them! They'll be perfect to layer with all fall and winter as well. These bralettes are comfy, beautiful, and work perfectly with those tanks. On another note, I think we're starting our master bath reno tonight! It's been a long time comin'. If so, I will try to get a snapchat of the "before" (it's heinous) later today. We have pretty much everything purchased except the vanity, and we're thinking of having Trey's brother custom build one for us and then doing a quartz countertop on top. Do any of you have experience with this?? What advice do you have for a bathroom renovation?? We're doing it ourselves with the help of family and I'm scared!